This week we had an extraordinary elephant storytime. Today was a great storytime. It was just one of those magical days when all of the kids listened intently to the books and were great participants with the songs. Also, there were a few first time attendees which always makes it fun. First we read Never Mail an Elephant by Mike Thaler. I wish that I had a bigger picture of this book. The kids liked this so much, I was shocked. Not that it’s a bad book (obviously it was included in storytime for a reason!) but it was incredible just how much the children loved it. 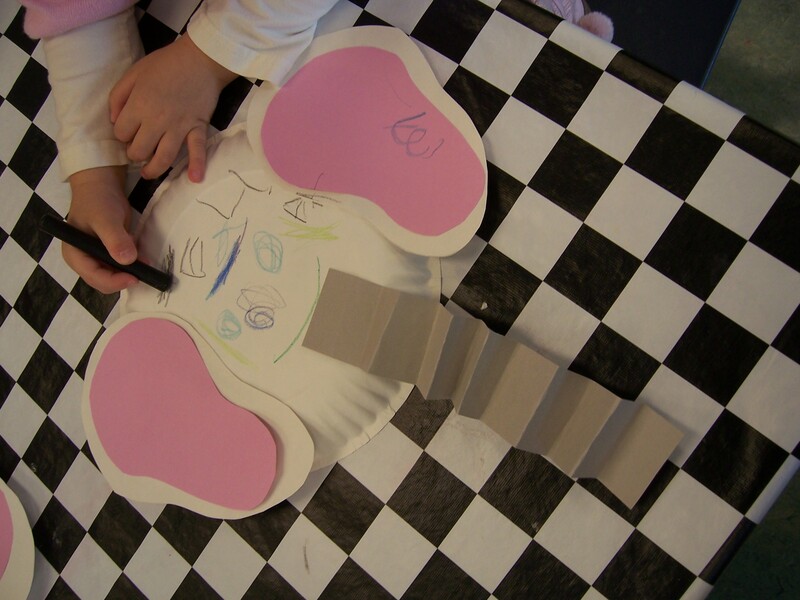 It is a very funny story about a boy who decides to mail and elephant to his friend. The humor in this book is prefect for 3-5 year olds. Next we read I Love My Mama by Peter Kavanagh. This book was also a huge hit with the crowd today. After the storytime, I heard some of the children talking with their parents about this book- something that always makes me happy! 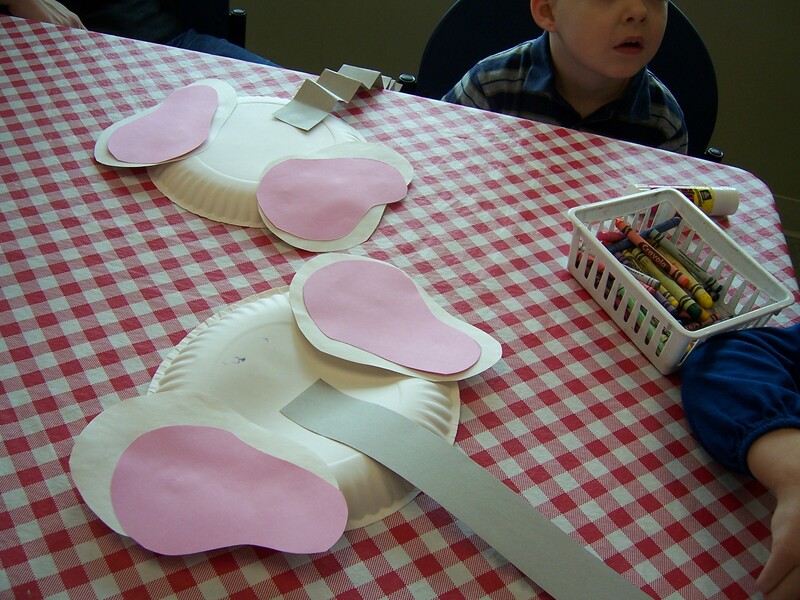 We made elephants with paper plates today. It ended up being a cross between this craft and this craft. I enjoyed how creative all of the kids were with their coloring and gluing. Some of them made crinkly noses and others made smooth. First, a bit of honesty. I am writing this post a week late. Usually I try to write them just after storytime so that way they are fresh and I remember everything. Last week, however that didn’t happen. I got busy and when I came to update with this week’s storytime, I realized I forgot the Valentine Storytime! So this post may not be as fantastic as other posts- I’m sorry. First we read I Kissed the Baby by Mary Murphy. 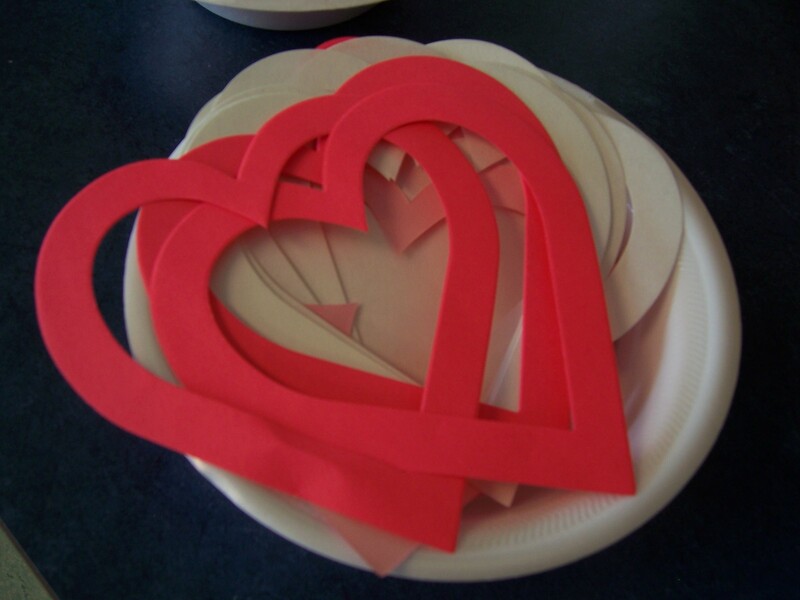 There aren’t a whole lot of Valentine theme books that I really like to use for storytime. I feel like some of them are just too much for little kids. So instead I tried to focus on books about love and happiness. A lot of the kids that come to storytime have younger siblings so we were able to talk about the babies in their lives. Next we read You Are My I Love You by Maryann Cusimano, illustrated by Satomi Ichikawa. To be honest, this book went all right. I think it would work better as a lapsit and is definitely geared more for parents ( I could tell the parents in the room really liked it.) But when read to a group, it just didn’t hold their attention. Finally, we finished with Love Bugs by David Carter. Ok, so I guess I did use one sort of Valentine-y book. BUT since it is a pop-up book, it is awesome. 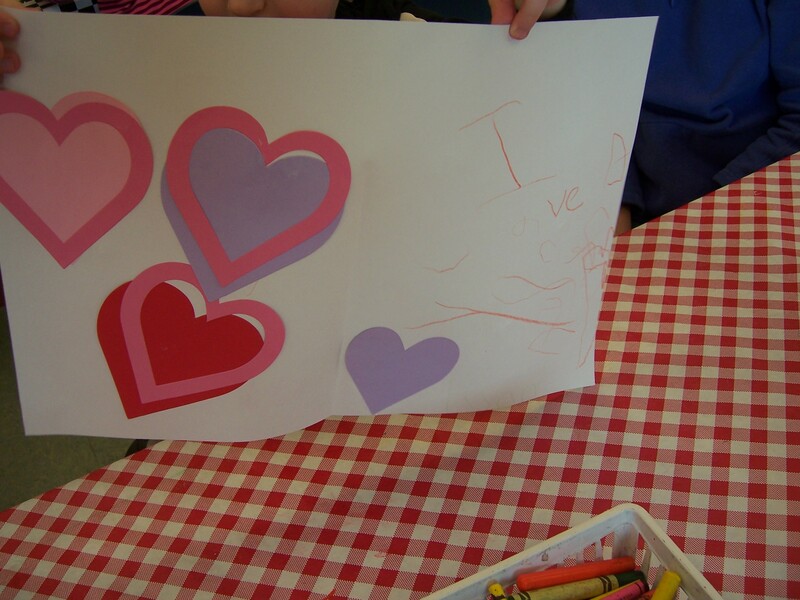 For craft this week, we made valentines. It’s an obvious craft, but they all really liked it. It was impressive how many kids knew exactly who they were making their cards for. 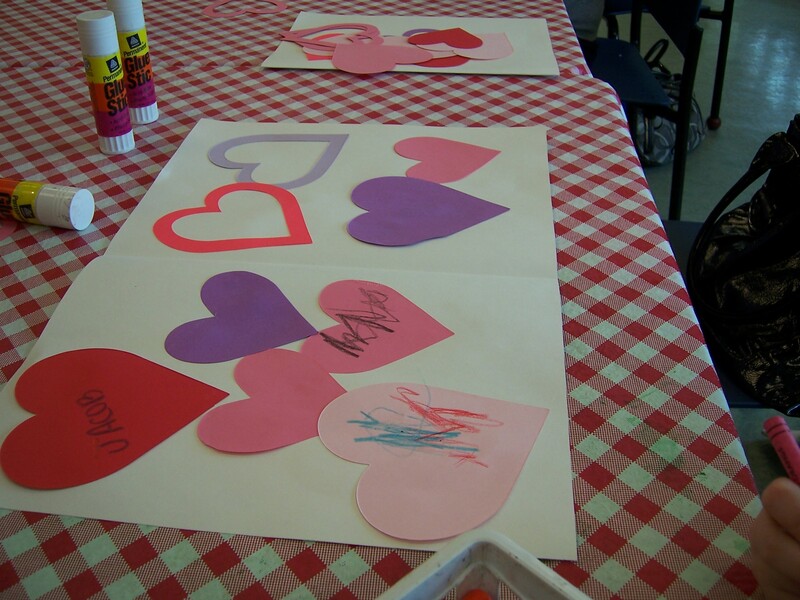 I made lots of hearts with the dye-cut machine and gave them to the kids with extra large cards and crayons and they went crazy.